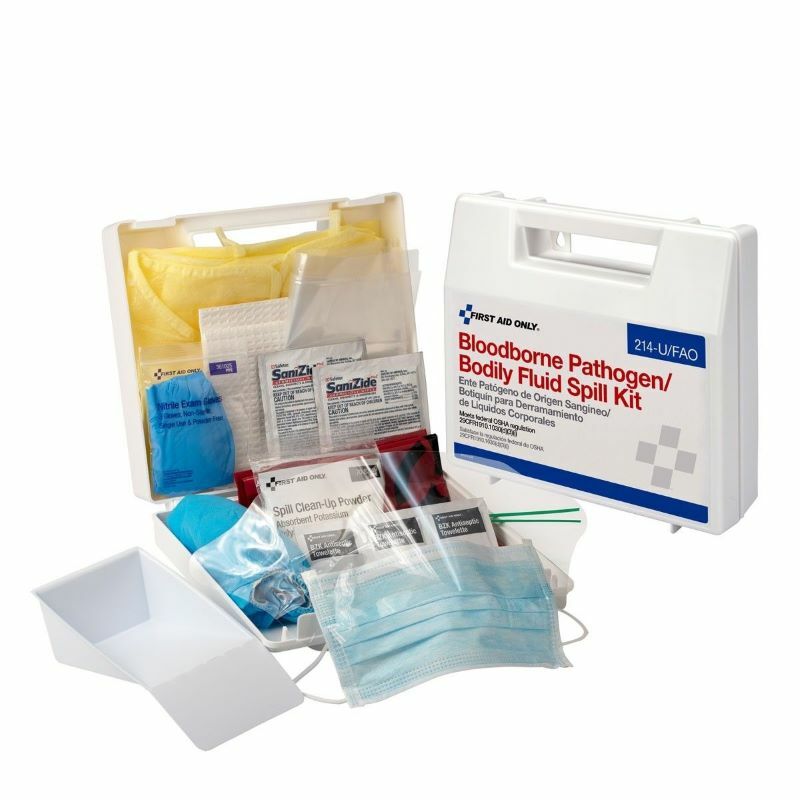 First Aid Only Bloodborne Pathogen Body Fluid Spill Kit is a 23 piece biohazard clean-up kit that is intended for businesses. It includes a complete head-to-toe defense package for fluid pick up. This bloodborne kit meets with federal OSHA recommendations and contains an ample supply of garment disposal and biohazard bags. Bloodborne kit contents are contained in a sturdy, reusable plastic case that is easily carried or mounted on a wall. Kit Dimensions: 9"x8-3/8"x2-1/2". (1) Fluid control solidifier pk, 21 gm. (2) 5"x8" Germicidal wipes, covers 7.5 sq. ft.